Green on the Green and first outdoor farmers market take place on May 7. Spring has sprung in Central Ohio and with it comes the promise of flowers, al fresco dining and outdoor festivals. 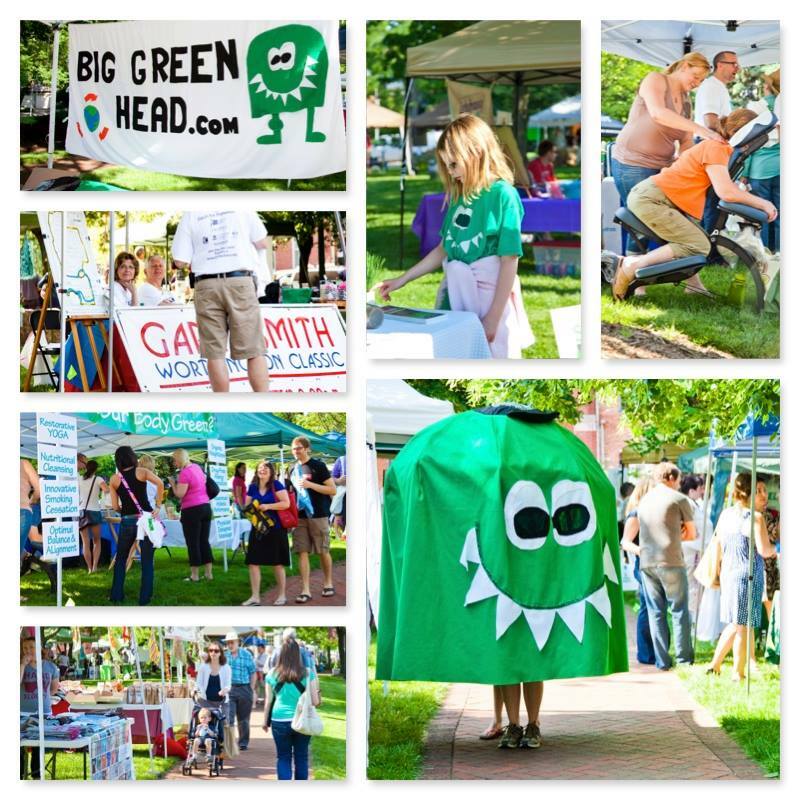 Eager to kick off the season in style, the folks at Big Green Head, the Old Worthington Partnership and the Worthington Farmers Market have been busy getting ready for this year’s Green on the Green and the first outdoor farmers market, which are both scheduled for May 7. This annual, one-day event, which will take place from 8 a.m. to 1 p.m. on Worthington's Village Green, seeks to inspire people to “go green” in their everyday lives. From implementing simple steps to being informed about the latest in green technology, visitors will learn from 70 + eco-friendly vendors just how easy, fun and cost-effective sustainable living can be. Community Computer Alliance Recycle Drive – Looking to unload some of your old electronic devices but unsure of how or where to properly dispose of them? Community Computer Alliance (CCA) can help. The non-profit organization refurbishes and recycles used electronic equipment like computers, laptops and iPads, and then donates them to those in need. CCA will be collecting items in the parking lot of Ace Hardware from 8 a.m. to noon and will have a booth set up on the Village Green. For more information about the work of CCA, including a full list of items they accept, visit their website. Bike Park– One of the easiest and most enjoyable ways to practice green living – while also doing something good for your body – is to start pedaling. Thanks in part to Worthington's close proximity to Olentangy Trail, the city boasts a robust community of bikers. In an effort to encourage local folks to leave the car at home, the Old Worthington Partnership will host a “bike park”, complete with racks and locks, on the northeast corner of the Village Green. Family-Friendly Activities – Green on the Green provides the perfect opportunity to teach tomorrow’s generation how to conserve resources and care for the earth. Visit the Worthington Schools booth to learn how kids can practice green living, snuggle some bunnies at the Ohio House Rabbit Rescue booth or dance along to Mr. Eric’s Music. Sponsorships and booths are still available. For more information, visit www.biggreenhead.com. On May 7, the Worthington Farmers Market moves outdoors for the first time this year, sharing the day with Green on the Green. If you’ve never visited the Worthington Farmers Market, you’re in for a treat. Boasting more than 70 vendors from the greater Columbus area, the year-round market is brimming with fresh produce, jams and jellies, honey, maple syrup, meats, eggs, flowers and other specialty items.